The trend of touchscreen based interaction can be seen in the newest car models worldwide. Ability to add more functionality into the device seems fascinating at first, but it has drawbacks as well, such as poor feed-forward and lack direct mapping to reveal these functions. 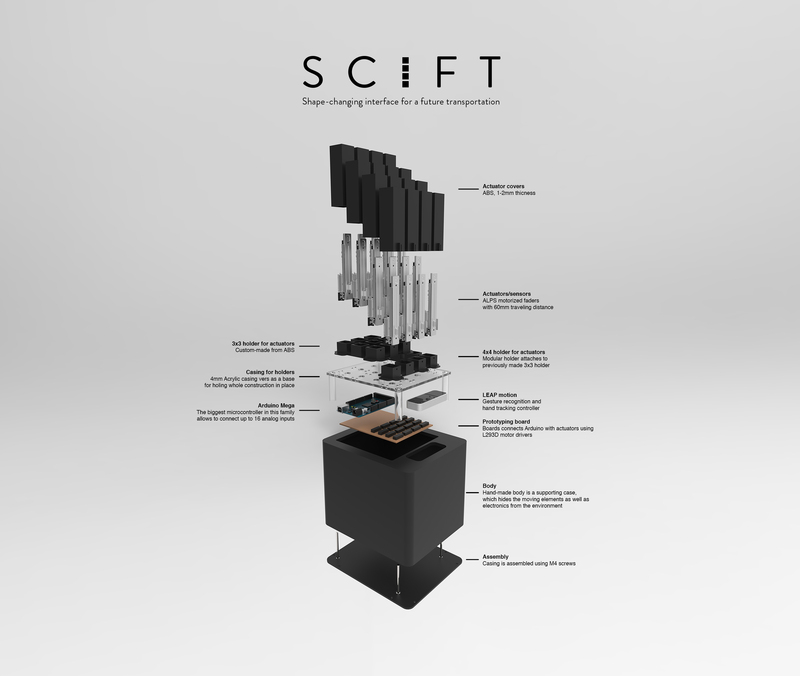 SCIFT is a concept of shape-changing interface for semi-autonomous cars mid console. The surface of this interface changes according to what functionality is needed at the moment. The most important improvement is, instead of using GUIs (Graphical User Interface), this new method is introducing shape-changing interfaces, which act as “just-in-time affordances” inviting user for a specific interaction. When providing haptic feedback, in this type of interaction user should not lose focus of the road when in control of the vehicle. 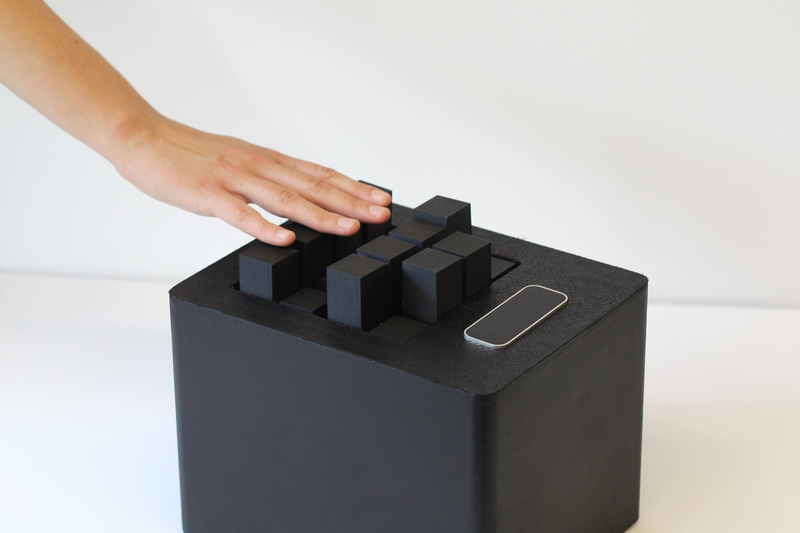 Creating usable shape-changing interface, requires expressive parameters to be used in to create meaningful interaction. Patterns must be naturally mapped to the functionality they represent, to be understandable. To code the functionality in very limited special surface is still a challenge. The current patters consist of 4 functions, with many others to be added later on. 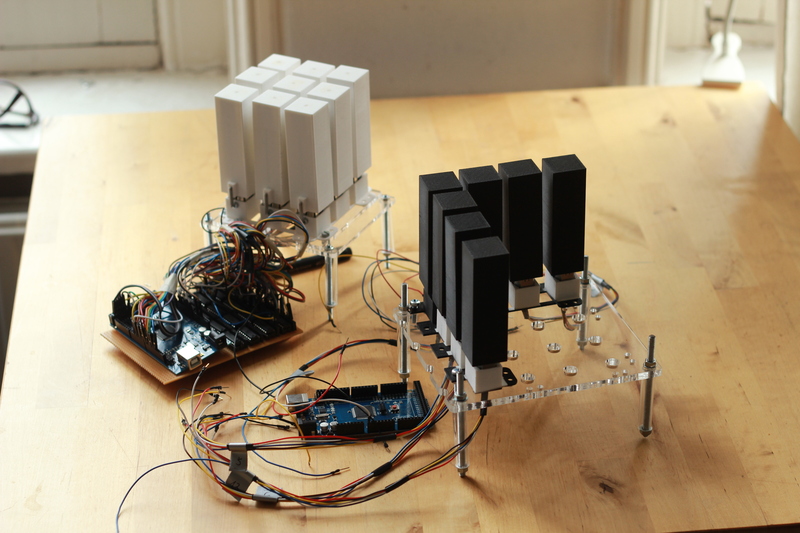 The project was presented at Dubai Design Week last November and at the innovation forum Innovation Drift last October .